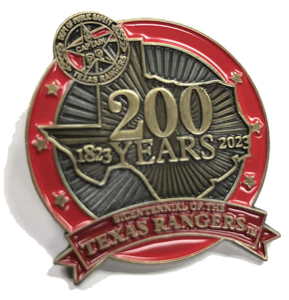 200th Anniversary of the Texas Rangers! The oldest serving statewide law enforcement agency in the United States. A prominent feature of American history and Pop Culture appearing in more than 200 motion pictures, television and radio shows, music, documentaries and thousands of books. A one-time-use family admission ticket (admits 4) to the Museum. *Corporate and Foundation Supporters: Please call us toll-free at 1-877-750-8631 to discuss how your company or foundation can participate on the company and foundation level. **Please note that we cannot offer custom signed certificates. We can issue a blank certificate to you upon request. $90 of the contribution qualifies as a charitable contribution for income tax purposes. The Texas Ranger Hall of Fame is a 170(c) government-owned nonprofit. The new Tobin and Anne Armstrong Texas Ranger Research Center, the first dedicated historical law enforcement library and archives in the nation. The Texas Rangers Company “F” Headquarters Building and Education Center in memory of Capt. Bob Mitchell. Renovation of the 8,000 sf John Knox Center banquet facility. 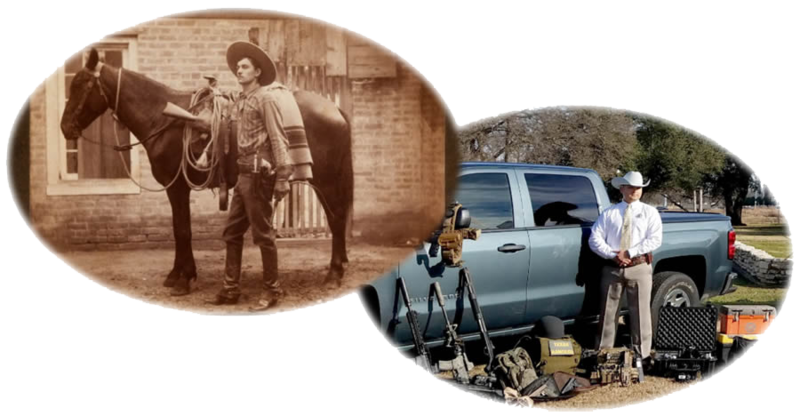 Exhibit improvements to four galleries of the Homer Garrison Texas Ranger Museum. A Bicentennial Book Publications Program that now has eight hardcover titles. One sold out in three months; another made the New York Times Bestseller list; another The Ranger Ideal, is an 1,800 page three-volume set of Texas Ranger Hall of Fame biographies. Restoration of the historic c.1851 portrait of Sam Houston — Republic of Texas President and the first US senator from Texas. Gift of the 1836 Texas Ranger Commission of Joel Robison who helped capture Santa Anna at San Jacinto. Gift of the historic Bowie knife presented by Rezin Bowie (Jim Bowie's brother) to Texas Ranger Capt. William Y. Lacey about 1838. Perfect for the Holidays or a Birthday! Please call toll-free (1-877-750-8631) with your name or family name, mailing address and email. Minimum shipping added to orders outside U.S.